Back in May I visited Croatia for a short weekend. Roughly 52 hours to be exact. You can read a bit about it here. 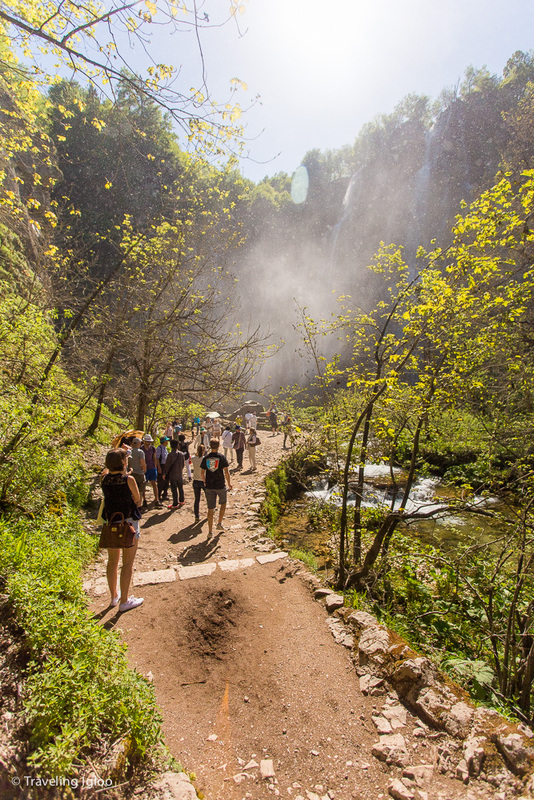 We took one of our two days to explore the Plitvice Lakes and opted for a tour instead of driving ourselves. 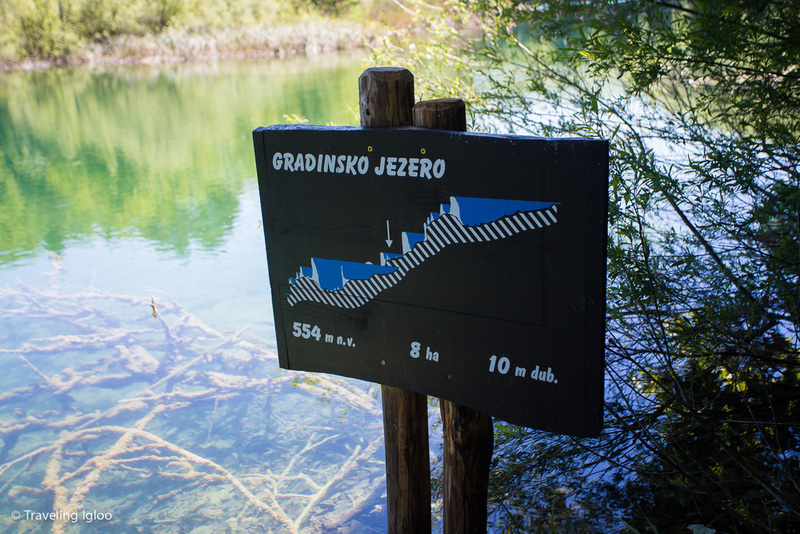 The Plitvice Lakes are northeast of Zadar. We flew into Zadar, then took a 4-hour bus ride south to Split, and then the next day took a 5-hour bus ride north to get to the lakes. Logistically this was a nightmare because it meant we were on a bus for a solid 18 hours of our trip. This was completely my fault, and I apologized profusely to my friend. Luckily she's very easy going and didn't mind all the travel (at least that's what she told me). My fault was that I booked the tour after I had already booked our place in Split. I think hanging around and exploring Split would've been nice, and honestly you just need more time in Croatia so you can see more of the countryside. One thing we were able to do was see a lot of the coastline as the local bus drove along it during the entire drive from Zadar to Split and back. The bus route looked a little something like the route below. When I had originally searched and Google mapped everything it looked like the bus ride would take about 2 1/2 hours. This was what people had said on forums on elsewhere on the web. Well, I am here to tell you that that is not true. The bus trip from Zadar to Split is about 3 1/2 - 4 hours. Our ticket prices one-way were about 15-20 Euro. I didn't keep the receipt so I can't recall the exact amount, but it was really reasonable. And honestly, if you have the time then this is a cheap and easy way to see the country, as long as you don't mind hanging out with some of the locals. If you take a taxi like we did from the airport to the bus station, just know that they will try to wheel and deal you. You can talk them down, and if you wait for the bus you'll pay about 1/2 the price. Personally, though, if I were to do it again then I would rent a car and cruise through the country. The roads are open and if you pay for the toll highways those are nearly empty. It wasn't very often that other cars were even on the road, and the roads are very drivable. We're tentatively planning a trip to Greece and Croatia in February, so that's my plan right now. My short list includes a stop in Split again, visiting Krka National Park, heading out to the Blue Caves (weather permitting), and visiting Hvar and Dubrovnik. Our day trip to the Plitvice Lakes started out early around 7am. We all had to meet at the designated meeting point by 8am. The main tourist office is a stone's throw away from the meeting point, and when we arrived the day before we stopped by to confirm our reservation. It was a 5 hours bus ride to get to the lakes. Here are a few photos of us leaving Split. Once we arrived, the trailhead had a map of the lakes. 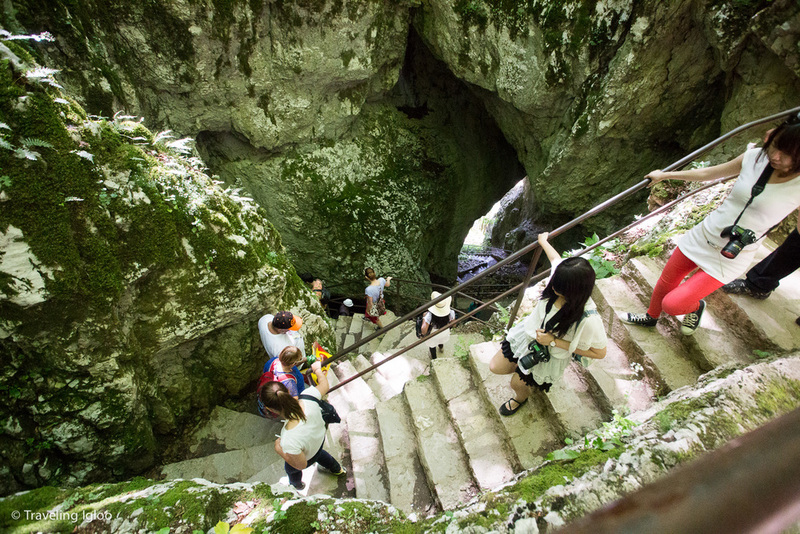 There are multiple routes that can be taken, and as you can see there are a lot of lakes and waterfalls in between to visit. This was our starting point. We took the ferry across to start the hike. There were so many fish, but you cannot touch them because the park is protected. The views from the get go were a great indication of the day ahead of us. The water was really high because of all the flooding in May. Many of the trails made of wooden boards were still flooded. I had read that a week earlier everything was completely underwater. Also, look at how crystal clear the water is. You can see EVERYTHING! Toward the end of our 4-5 hour hike around the lakes, we went down some steep steps that took us to the highlight of the tour. But first we had to take a few windy paths to get there. 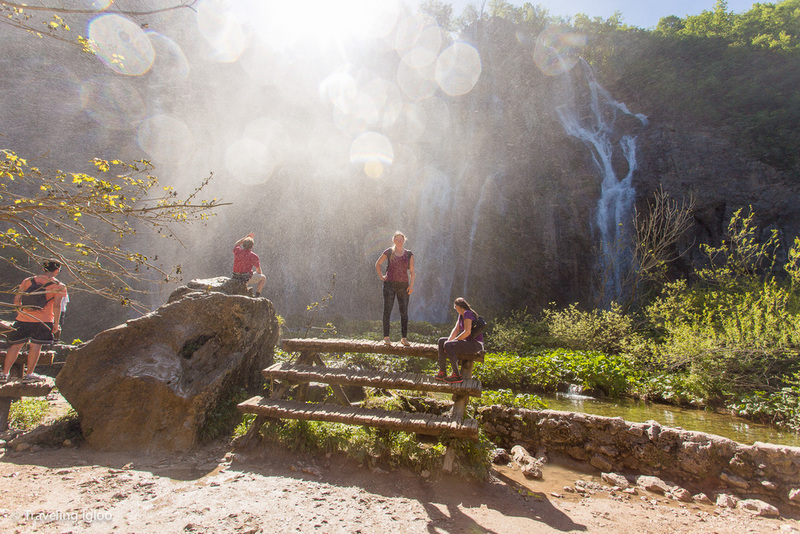 We finally made it to the biggest and most stunning waterfalls. The mist spraying off felt nice after walking for a few hours. It was difficult to really grasp the beauty of the park in photos. Below you can get a feel for the size of these waterfalls by looking at how small the people are in comparison. If you Drive: The highway we took was nearly empty, in an almost apocalyptic way. Most people don't want to pay the tolls and opt for the free roads. If you don't mind toll fees then taking the highway might not be so bad. Even the regular roads are very open, without many cars on them at all. Just be sure your GPS is working (and that it's provided with your rental) because the park is secluded, and you don't want to get lost or stuck out here. What To Bring: I brought my camera bag with some of my gear, a jacket, some water, and a snack bar. This worked fine for me. We stopped halfway along the trail at a stand with bathrooms and drinks and snacks. There weren't too many bathroom stops along our route, so plan out your water stops. Footwear: I just wore my Toms, but probably should've worn something a bit more sturdy. Not that it's a terribly difficult hike, but if the wood boards get wet they are very slick! I would recommend some comfortable shoes with decent traction and you'll be fine. Tour Company Info: We went through a company called 'Split Excursions'. I liked them, our tour guide was very informative and helpful, and told us a lot of interesting information about the local landscape and the history and politics of Croatia. The Weather: We went towards the end of May, and the temperatures were in the high 70's to low 80's with some humidity. Photography: I brought my cheap canon zoom lens, my 17-40mm, and a 50mm prime. I ended up using my 17-40 for many tight shots, but found I needed a longer lens if I really wanted to get better shots of the waterfalls. If you want to do it right, I would recommend renting a car so you can bring a tripod and get some good shots. Since I was on a tour, I was herded around and wouldn't have had time to set up my tripod for every shot. 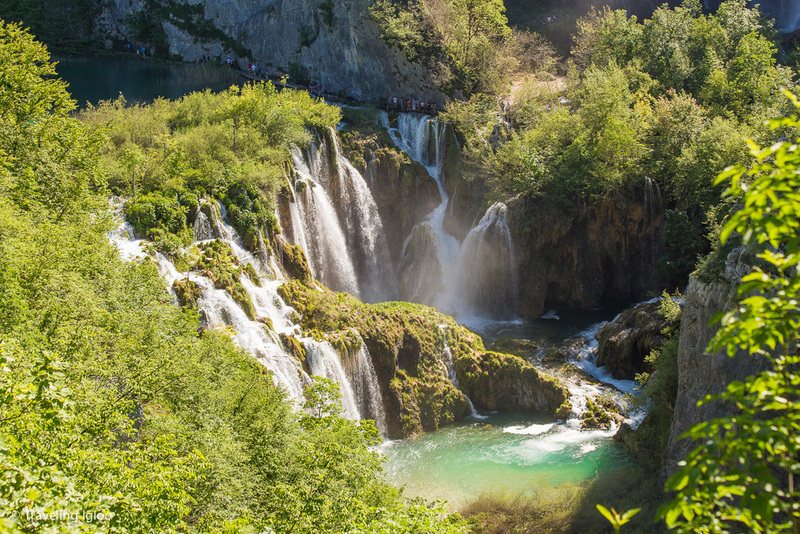 Have you been to the Plitvice Lakes? Did you do a tour or explore on your own? Let me know in the comments.